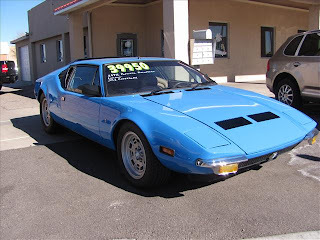 1972 Detomaso Pantera - It's probably been well over 30 years since something like this was a relatively common sight; a Detomaso Pantera sitting on a used car lot. But that's where this one is, complete with a price and writing on the windshield. This is not my favorite color on a Pantera (or any car), but it looks to be in great condition. Located at M&F Auto Sales in Albuquerque, NM, click here to see the ad. 1989 Peugeot 505 Turbo - The 505 Turbo is an under appreciated car in the US. It's luxurious, fast, and, with routine maintenance, reliable. Peugeot, unfortunately, did just about everything wrong when it came to marketing (all) their cars here. Most people have no idea how good these cars are, if they even know what a Peugeot is at all. This is a restored 5 speed Turbo. If I had the spare time and money, I'd fly out to CA and buy this car. Then, just for the shear pleasure of it, I'd drive it back to New England, where I live. 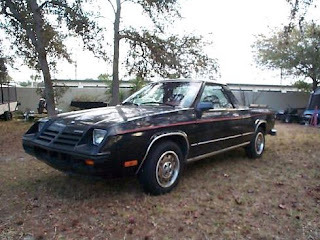 1982 Dodge Rampage - When was the last time you saw one of these? Little car-based pick up trucks looked like they were going to be all the rage for awhile. 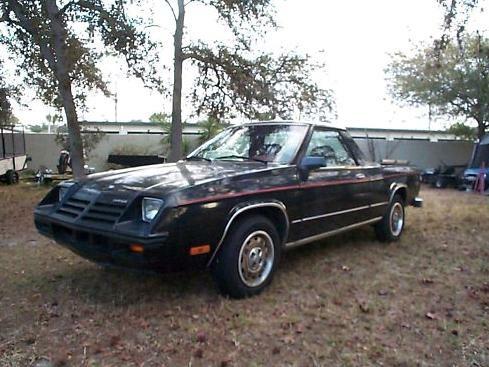 VW had one, Subaru had the BRAT, and Chrysler had this. They never really caught on. Slow, small pick ups with limited cargo capacity wasn't what the pubic wanted. Located in Clermont, FL, click here to see the eBay listing. I haven't posted a video in awhile. My friend Jeff sent this to me. This is incredible (and inspiring). 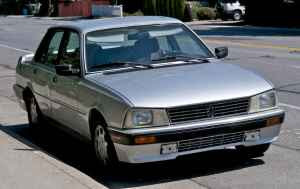 I think there were only 50-80 of the '89 5speed Peugeot 505 Turbos sold in the US. That Rampage listing makes me laugh. I mean, it's located in the city I live in! I don't recall ever seeing it on the road when I drive around locally, though. There is a Rampage being daily driven in Waterbury Center, VT. Must have been a southern car at one point - all of the Vermont-retailed Chryslers of this era have turned to iron oxide dust. That 505 is still for sale. I think I'm gonna check it out this weekend. The piece on Bart's Auto and Towing was awesome. Thanks for posting that, sharing the inspiration.